The original owner of Green Hall was Jedediah Strutt II who was the grandson of Jedediah Strutt the original mill-owner in Belper. Jedediah II, who died in 1854, not only built Green Hall, but was also high sheriff of Derbyshire in 1849. The fine stone house, built in 1810, stood at the top of King Street and was joined to its garden across the road by a specially constructed bridge. The house was not long occupied. By 1888 it had become Green Hall Preparatory School for Boys, a prestigious boarding school for sons of gentlemen. Green Hall was used as a military convalescent hospital during World War One. The house was furnished as a military hospital by George Herbert Strutt who funded the provision of 40 beds and a modern equipped operating theatre as well as paying hospitals running costs. Some 3000 men were treated in Green Hall during the war period. The matron of the hospital was Ethel May Crump who received the Royal Red Cross decoration for her services. After the war, the soldiers were honoured by a Memorial Garden (the former gardens of Green Hall) with an inscribed Cornish granite obelisk. George Herbert Strutt also presented an illuminated and beautifully bound book which contained the name of every Belper man who gave war service and which was kept in the Urban District Council's offices in King Street. During the 1930s the Hall was divided into eight flats, the occupants of which included John Beardsley, Minnie McKennon, Rhoda Sayle, Leonard Slaton and Dennis Throw. You can read a description of those flats and their occupants below. By 1948 Green Hall had fallen into a state of disrepair and it was demolished during the late 1950s. Today a car park occupies the space along with a row of modern shops and a hideous new pub called the Green House. 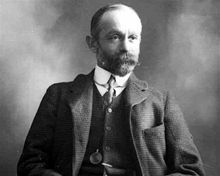 GEORGE Herbert Strutt was born in 1853 in Belper. Like a number of his ancestors he was High Sheriff of Derbyshire, in 1903. In 1909 he opened the Herbert Strutt School, in Belper, after spending £20,000 on its development and, in 1910, he funded a public swimming pool in the town. Green Hall Memories, 1938 to 1956 by Alan Cockayne, Jacksdale, Notts. Green Hall was a rambling maze of cold, dark, draughty, interconnecting passages, washhouses, store rooms, empty rooms and stairways. The only light at night was an oil lamp, a candle or a torch if you were lucky. On the other hand, Green Hall was a child’s paradise of make believe and discovery. For the grown up’s life was not so blissful. The washrooms were cold and unlit, fitted out with only a sink and a cold tap. There was a coal fired ‘copper’ and a variety of rinse and dolly tubs, wooden or copper ‘punches’ and of course the old wooden roller mangle (twelve turns for every revolution!). The other unpleasant chore was the barrowing, or bag carrying, of coal to the various coal cellars or storerooms, followed by the daily bucketing of the same to all the numerous open fires (further disproving the central heating theory). Green Hall itself was made up of four flats on the ground floor, five on the first and one flat in the annex above two garages at the Albert Street end of the Hall. Access to this particular flat, was from the little ‘jitty’ that goes down between the Uniterian Chapel and Green Hall and continues down the back of Albert Street Gardens. We children never regarded this flat as being a true part of the Hall. I cannot recall how the flats were numbered and for the sake of convenience I will number the flats one to four on the ground floor, five to nine on the first floor and the annex flat number ten. All the flats (with the exception of the three wash houses and flat ten) were connected by a series of passages and no less than four separate staircases from the ground to the first floor. There was also a staircase onto the roof and one into the cellars. There were only two enamel baths with hot and cold water throughout the entire Hall! The first was in flat number two and a communal one on the first floor. The hot water was heated by the old fashioned ‘gas geysers’ with everyone else having to make do with the old tin bath in front of the fire. Flat one. Occupied by Mrs Beardsley, whose husband (deceased) had been a gardener for the Strutt’s. Her flat consisted of one room, which was both kitchen and living room, a toilet and a bedroom located on the first floor via the main staircase. Flat two. 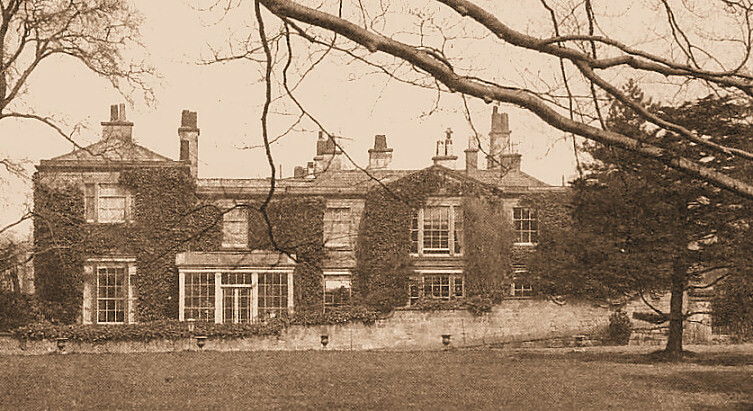 Occupied by Mr Frederick and Mrs Agnes Cockayne, their three children (Bernard, Alan and Muriel), their parents Byron and Ada Day and Agnes’s sister, Annie Day. This flat consisted of a large dark living room, fitted with an ‘excelsior’ oven and boiler, a kitchen complete with proper bath, toilet, coalhouse, storeroom, sitting room/bedroom (for my grandparents), single bedroom for my Aunt and a large communal bedroom with two double and one single for my parents and all three children! Flat three. This consisted of one normal sized room, with a small room off to one side that was fitted out with a large double sink. There was also a very large room big enough to make three normal sized rooms, plus an outside toilet. Before WW2 it was the clinic. This was relocated to a large stone house off Field Lane. During the war it became the A.R.P. post. After the war, my parents rented it and we lived there until 1956. Flat four. Occupied by Mr and Mrs Percy Short (who was the Commander of the St. John’s Ambulance Brigade) and their son Eric. This flat consisted of a living room, kitchen, toilet and three bedrooms with a long connecting passage. Mr. Short also had a large workshop-come-storeroom known as the brewhouse. This room had a large vehicle inspection pit and led onto the courtyard with the two garages under flat ten. Percy Short is grandfather of Fred Short. He tells us that Mr & Mrs Short had three children: Percy ( Pip) Eric and Mable. The Cellars. These were reached via a pitch-dark stone staircase located between flats two and three. There were four rooms with a connecting passageway. There was a wine cellar complete with racks (no wine! ), the ‘ashpit’ cellar, the ‘coal’ cellar and the cool store, complete with stone thrall’s and air vent to the outside. The wine cellar and the passage both had cast iron glazed windows. The coal cellar had a grill and a sloping chute. The ashpit cellar had a vertical chute to allow the ashes to fall from the fireplace above. First floor. Flat five. Occupied by a Miss Worthy and her companion Miss Fisher, who was a school-teacher at the (then) Catholic School on King Street (now the St. John’s Ambulance Short Memorial Hall). This flat (overlooking the Memorial gardens) had a living room, kitchen, toilet and two bedrooms. Flat six. This flat overlooked Green Lane and the inner court, which had a glazed roof. The rooms consisted of a living room, kitchen and two bedrooms. The only family ever to occupy it were the Coghlan’s, an Irish family, during the war. Their daughter, Bernadette, married Mr. Ken Noble and they had a young family. Sadly, Bernadette and Ken were killed in a car accident at Little Eaton, leaving their young family without parents. Flat seven. This consisted of a kitchen/dining room, sitting room, with a short flight of stairs to two bedrooms. There was a flight of stone stairs from the kitchen up to the roof, which had a large flat leaded square surrounded by a crown roof on all four sides. There was also a large chimney stack on which Belper’s air raid siren was situated. This was fitted by a Mr. Stanley, who lived on Green Lane and who also ran an electrical repair and fitting workshop in Green Hall. I cannot recall anyone who occupied this flat, as no-one seemed to stay long, although my parents rented it for a short time after the war. Flat eight. This flat had a large living room, kitchen and three bedrooms. An evacuee family occupied it during the war by the name of ‘Chick’. Mrs Chick had two daughters called Joan and Jean and twin sons Harold and William. For a while she was manageress of Piper’s Bazaar in King Street (now Cooper’s Butchers). After the war they moved back to the London area and a Mr. and Mrs Bill Nightingale and their daughter Annie moved in. They later moved to Farlaun. Flat nine. Occupied by Mr and Mrs Staton and their son Frank. This flat consisted of a living room/kitchen, two bedrooms and a toilet. The bedroom occupied by young Frank doubled up during the day as Mr Thorpe’s chiropodists. Mr Thorpe, who lived on Nottingham Road, advertised his business for years on the corner stone of the garden wall at the junction of Green Lane and King Street. This flat also had a hidden staircase that led down to Mr Stanley’s workshop. Flat ten. The only occupants I can recall where a family called Carrington. I cannot remember any other details other than those already described. Green Hall before and during the war. There was a very large oval shaped lawn to the rear with a path all the way around. Border gardens containing holly trees and a fir tree complemented the large solid fuel heated greenhouse in the corner and its accompanying vine. This belonged to Mrs Beardsley. During the war, my grandfather, father and Mr Short all dug up parts of this lawn for vegetable plots during the dig for Britain campaign. This ensured we were well stocked up both during and after the war. My mother was coerced into billeting soldiers from the ordnance factory on Strutt Street (later Sylcoto, then Stevensons Dyers) and other M.O.D. directed labour. One such was a Mr Good from Kingston Upon Thames. He was contacted one day to say that his wife and young daughter had been bombed out during the ‘blitz’. How ironic, the soldier husband enjoying the peace of rural Derbyshire while his family felt the full blast of war! Another was a Mr Cox from Deal in Kent. He was drafted into Belper (complete with his East Kent double decker bus) to transport workers from Belper, via Holbrook and Coxbench, to the British Celanese factory at Spondon whilst his family suffered the daily shelling on what was known as ‘Hellfire Corner’! An especially well remembered M.O.D. worker was a Mr Hugh Malon, who stayed with us long after the war and became an integral part of the family. He eventually married a Miss Hazel Woodiwice of Farlaund. The games that children play. Green Hall was a paradise for children in summer, with the large gardens providing the perfect football/cricket pitch for us and endless places to play hide and seek. In the winter the warren of buildings provided indoor hide and seek, with the added bonus of being able to jump out and scare each other half to death! Not to mention traversing around the roof top, thirty to thirty five feet high, with just a two foot ledge to walk around on! There wasn’t a drainpipe we did not climb, no matter how high! Wall walking and jumping from one roof level to another were very much an everyday occurrence, especially when retrieving our ball from the shops on King Street. Something that would make my blood turn cold these days, had I seen my grandchildren doing such a thing. Many was the time we would ‘scrump’ Mr Edwards, the newsagents, apples from his garden that backed onto the Hall and many was the time he caught us and gave us a thick ear for our trouble!